Thank you to Operation Write Home for the opportunity to participate in this Blog Hop! Wonderful card. Thanks for the reminder to make cards for this cause! What a beautiful image and such gorgeous coloring. It's really a small work of art in itself! Thanks for joining in the Memorial Day hop and for supporting OWH. I love the image on this card and the way you did the sentiment! What a stunning card you have created here! Really nice artwork!! blessings! Beautiful card! I love all the coloring! Thanks for hopping with us today! God bless! Lovely card. The focal image is striking and I like how you double-matted your paper layers. Stunning card! The coloring is outa this world. What a pretty card! Love the papers and your coloring is really lovely. This is very pretty, love your colors and that image! This card just took my breath away! Just gorgeous! This is just lovely. That's the perfect stamp to use with this sketch and your coloring is fantastic! Thanks for sharing! What a beautiful card! 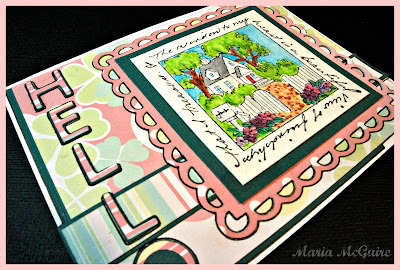 I love the window to the world stamp, and your coloring is so very lovely! 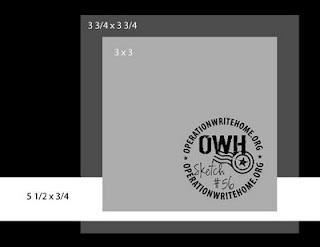 Thanks for supporting our troops and OWH! 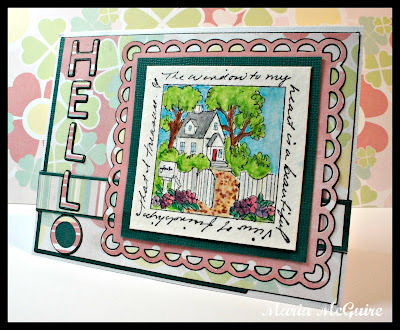 What a fabulous card, I love how you've used the sketch! So colorful and yet elegant -all at the same time!! Maria, you are amazing with those Copic markers!! Love the sentiment and image. Your selective coloring really makes such a big impact. TFS!!! Wow, such a pretty image! Your coloring is fantastic, and I love all the details on the card. Thanks so much for hopping with us! Wonderful card! The image is beautiful! Love it! Your image is so perfect for the sketch. Such detail in the stamp you used. Wonderful coloring. What an amazing card! Beautiful coloring! Very beautiful and colorful card!!!! Great colors great card - TFS! I love the colors you chose and the image is really beautiful. Beautiful card. The image is colored beautifully and the supporting papers add a wonderful wash of colors. Really nice. I love your card! Stunning! I love the black layer behind hello! Lovely card! I love your coloring. Love love love this card! The colors, the details...everything! I checked out the May 25th post and OMG I laughed out loud on those Art Impressions images and sentiments! So glad you introduced me to them! TFS!! 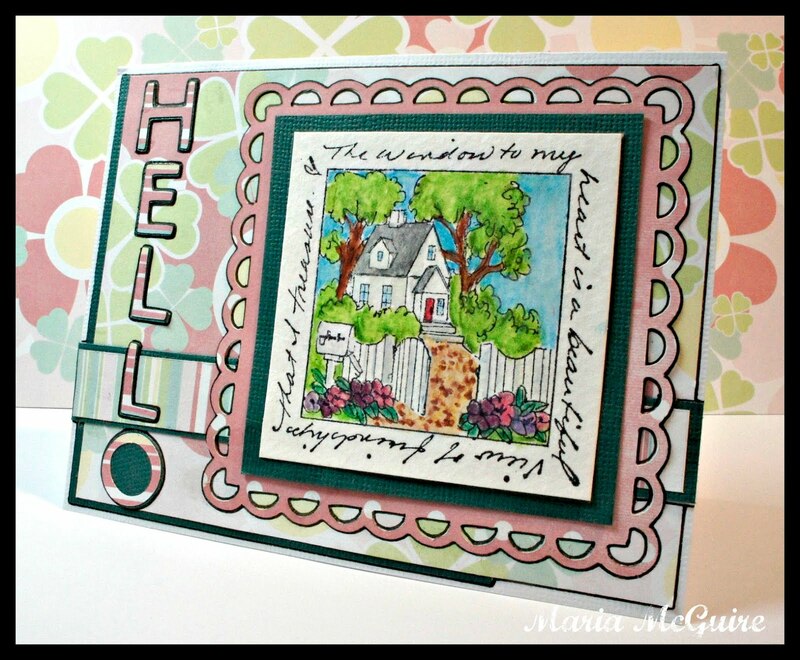 Fabulous card--Love this stamp and your coloring. Lovely card and the coloring is gorgeously done. Awesome image...love the sentiment! TFS!!! Beautiful coloring! I really like that image. Thanks for supporting OWH.